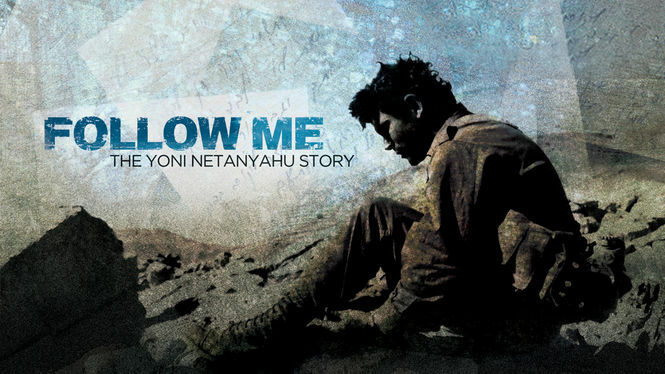 “Follow Me: The Yoni Netanyahu Story” (2012), directed by Jonathan Gruber and Ari Daniel Pinchot, is a moving documentary about Operation Entebbe and the titular man’s role in returning the hostages home safely. However, this is no ordinary film about a lifetime army man; it is a tale of life and death, an account of a profound and clever man, and a commemoration of one of Israel’s most significant figures. Through readings of Yoni’s numerous letters to lovers, friends, and family, the viewer gets to know Yoni on a more personal level. Yoni wrote his thoughts about Israel, the deep connection he felt to the land and the urge he had to devote his life to protect it. Yoni also spent time thinking about the effect of war on a person and on a nation, inviting the audience to think about the present-day conflicts, as well. While he described his feelings after having been wounded in battle, Yoni wrote, “the world is full of beauty, and the ugliness only highlights that.” Yoni was a thoughtful and wise man who saw the good in otherwise bleak situations. The film’s uniquely non-linear progression contributes to the characterization of Yoni as a man to be remembered. Scattered throughout the excerpts of political leaders discussing the hostage situation in Uganda are memories from his childhood. Bibi—Yoni’s younger brother—provides insight into what Yoni was like before he became a commander. Some of Yoni’s letters during his stay in the United States are read aloud, showing his literary prowess and his wisdom even at such a young age. Images and videos from his wedding to Tuti, his longtime girlfriend, humanized him and show just one more side of his complex and interesting life. Yoni also struggled with the academic and military sides to his personality, though, and this put a strain on his marriage to Tuti, leading eventually to divorce. Although Yoni was always a thoughtful writer, this landmark event made him think more about his family and his future as a soldier. He used vivid imagery that Jews can relate to when describing the things he missed about home and his family, including memories of Passover Seders and lighting Hanukkah candles with loved ones. The film features many examples of Yoni’s leadership skills and charisma, told by Yoni’s fellow soldiers in special unit Sayeret Matkal. While Yoni was not the most popular soldier, he pushed his fellow soldiers in training and on the battlefield to be the best men they could be. This natural courage and drive led Yoni to become a commander and eventually take charge of Operation Entebbe. When Yoni’s unit was selected to head Operation Entebbe, soldiers in his unit were worried, but Yoni kept a level head and strategized. The film does not focus much on the operation itself, but emphasizes the charisma Yoni had and the leadership he showed during the operation. Yoni courageously led the charge during Operation Entebbe and bravely died in battle. Interviews with his family members, including his younger brother and current prime minister Bibi, made his death feel more real and all the more heartbreaking. Footage of Prime Minister Netanyahu tearing up while speaking of his older brother’s death showed a vulnerable side of the prime minister, which makes viewers feel a connection to Bibi as well as his brother.